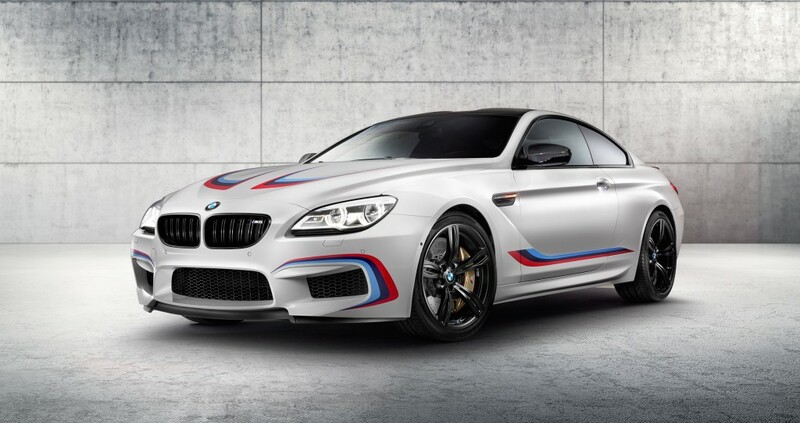 BMW M GmbH finally showed us the BMW M6 Competition Edition at the 66th Frankfurt International Motor Show (IAA). I’m a bit confused though: what does “Competition Edition” mean? Is this the M6 GT3? Or can you only get the GT3 as a racecar? I naturally assumed BMW would build a GT3 street car like Porsche and Mercedes… The car does look pretty awesome, but it appears to be more of an appearance package with slightly more aggressive suspension. That seems to be the status quo for BMW special editions these days; unlike Porsche who has the GT3 and the GT4, which are probably the best sports cars on the market (and, can be driven in competition without much alteration). The M6 does look cool. Unfortunately, production is limited to 100 units in the US while another 20 are allocated for the rest of the world proving only we Americans love the poser BMW models. And, in true modern BMW motorsport form, they released the 2016 Competition Package for three model variants: so you can have a convertible or 4 door “competition” version if you so desire. The three variants are the 2016 BMW M6 Coupe, BMW M6 Grand Coupe and the BMW M6 Convertible. The cars are powered by a 4.4 liter V8 BMW M with twin turbos producing 600 bHP that features a power boost thing that increases peak torque from 500 lb-ft to 516 lb-ft. The car is supposed to have an extremely wide power band from 1,500 and 6,000 rpm which makes sense. The car also comes firmer tuning of the springs, dampers and anti-roll bars increase stability, reduce roll and result in a higher level of steering precision. The BMW M6 Coupe Competition Edition model comes in two colors: Alpine White and Austin Yellow metallic. In Alpine White, the BMW M6 Coupe Competition Edition features decorative bodywork stripes in the trademark BMW M colors, similar to the look on the new BMW M6 GT3 race car. Customers can choose between 20-inch light alloy Double Spoke M wheels with performance tires or 20-inch light alloy Double Spoke M wheels with forged black with performance tires. 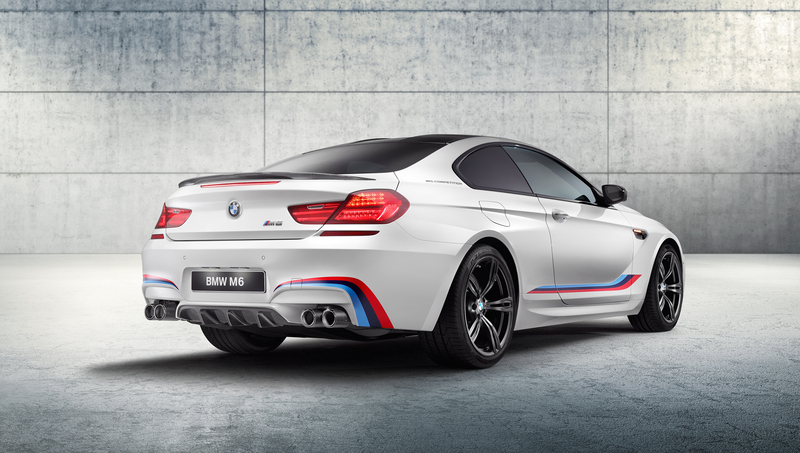 The M6 Competition features an M Performance Exhaust with carbon fiber tailpipes. The BMW kidney grille, door handles and side gills are done up in black chrome and the carbon-fiber exterior mirror caps. The rear spoiler and diffuser is made from carbon-fiber. The interior also has two options. Merino full leather in black with contrast stitching which is Opal White with Alpine White paintwork and in Yellow stitching with Austin Yellow metallic paintwork. And no M car would be complete without 16 M badges so the M6 Competition gets “M6 Competition” lettering in metal on the door sills and in the side gill elements, along with the lettering on the cupholder lids(its important to know you are in an M6 Competition when you set your drink down). The interior trim strips, gear selector and M sports steering wheel spokes are made from carbon fiber and the steering wheel rim is lined with elegant Alcantara leather. The interior also gets a M multifunction seats for the driver and front passenger, the BMW Head-Up Display and Harman Kardon Surround Sound System or High-End Surround Sound System by Bang & Olufsen with 16 speakers and output of 1,200 watts are also part of the equipment range. 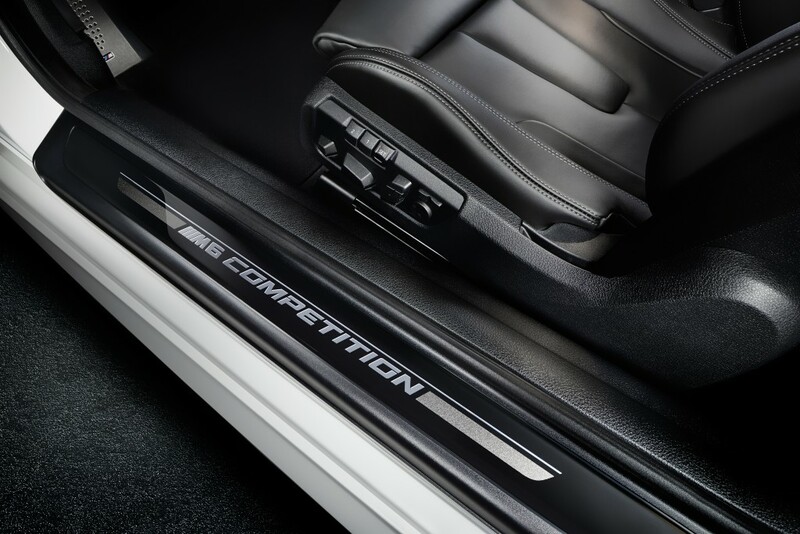 M6 Competition Edition customers will receive a Performance Center Voucher upon delivery. The coupon provides each owner with a special opportunity to visit the BMW Performance Center Driving School of their liking for an exclusive half-day instructor led driving experience. Limited to 120 units worldwide and 100 in the U.S., the BMW M6 Competition Edition is available at selected retailers for $164,900 plus Destination and Handling. Interesting that this model was released in Germany and almost all the production allocation is for the the U.S. market. All that being said, I am still a bit confused: What does “Competition Edition” mean? I can only suppose the only “competition” it will see will be in the dealership, competing for dollars, or out on the town, vying for the next best spot at your favorite restaurant. ← Previous Post: You’re Mowing The Wrong Way!